With today’s introduction of the Snapdragon 410 processor, Qualcomm is extending its leadership in emerging regions by bringing integrated 4G LTE to sub $150 smartphones. With a multimode, multiband world mode LTE modem, users will be able to take advantage of LTE speeds as 4G LTE begins to ramp in China and other emerging regions globally. 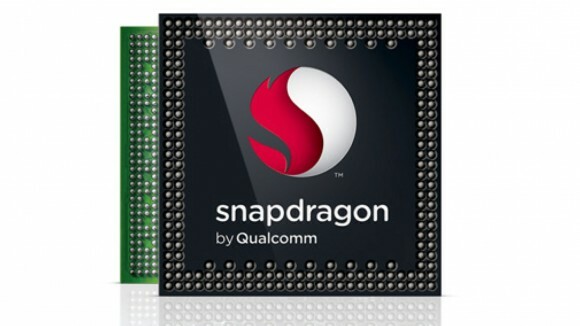 Qualcomm also announced plans to bring 4G LTE to all tiers of Snapdragon processors. The Snapdragon 410 will also be Qualcomm’s first 64-bit capable product, ensuring OEMs customers are ready for the transition to the next-generation of mobile operating systems. Additional upgrades to the Snapdragon 410 include the Adreno 306 GPU, support for 1080p video playback and up to a 13 Megapixel camera. Just a few days after the Android 4.4.1 update for the Nexus 5 another alert appeared on my phone this morning advising that there was an update available, this time Android 4.4.2 provided over the air. 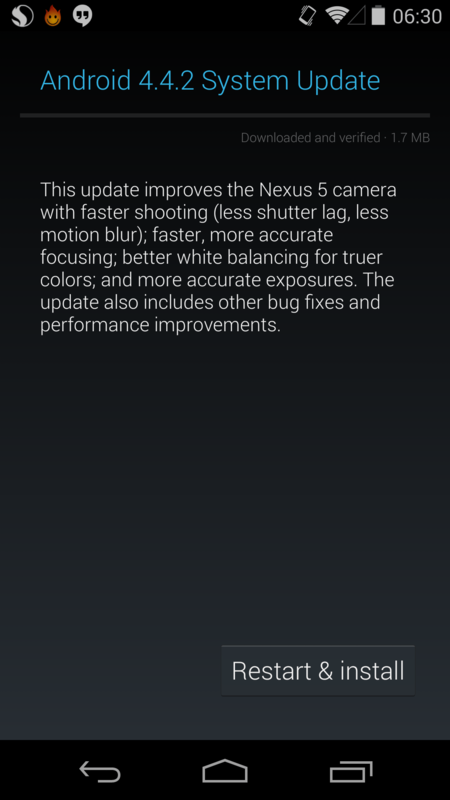 This latest Android 4.4.2 update promises further camera improvements for the Nexus 5 with faster shooting, less shutter lag, less motion blur, faster and more accurate auto focus, better white balance and more accurate exposures. Whist it’s too early for me to pass much of a judgement, I can say that there is a marked improvement in the shutter lag but I’ll need to take more pictures to comment on the other improvements. UPDATE: As Steve Wilson points out, 4.4.2 is also available for the Nexus 4,7 and 10. Hammacher Schlemmer has an interesting tablet for the holidays. Costing $349.95 this is a glasses-free 3D tablet. The company claims this is the only tablet on the market that displays 3D movies and images without those pesky glasses. According to the company, 3D delivery is accomplished by using a parallax barrier layer placed on top of the 8- inch screen. The device delivers a slightly different set of pixels to each eye, thus creating a depth of field when held in specific angles without colour distortion. Specification details are limited, the tablet has an 8-inch touch-based screen with a 1280 x 800 resolution, backed by Android 4.1 “Jelly Bean” and a battery promising five to seven hours of use on a two-hour charge. The company claims that playback “automatically distinguishes between 3D and 2D content.” The tablet will even convert 2D material for a 3D-like effect. The 3D tablet also packs 16 GB of internal storage, an SD card slot for up to 32 GB of even more storage, and support for USB flash drives via a presumed microSD 2.0 port. Other features include Bluetooth and likely Wireless N networking, a 2MP camera on the back, a 0.3MP camera on the front, and a wireless keyboard case. The tablet measures 5.5 x 8.5 x 0.75 inches and weighs a mere one pound. Unfortunately, the product description isn’t specific about other hardware details like the processor and amount of RAM. $349.95 does seem to be a larger sum to ask for a bit of a gamble. 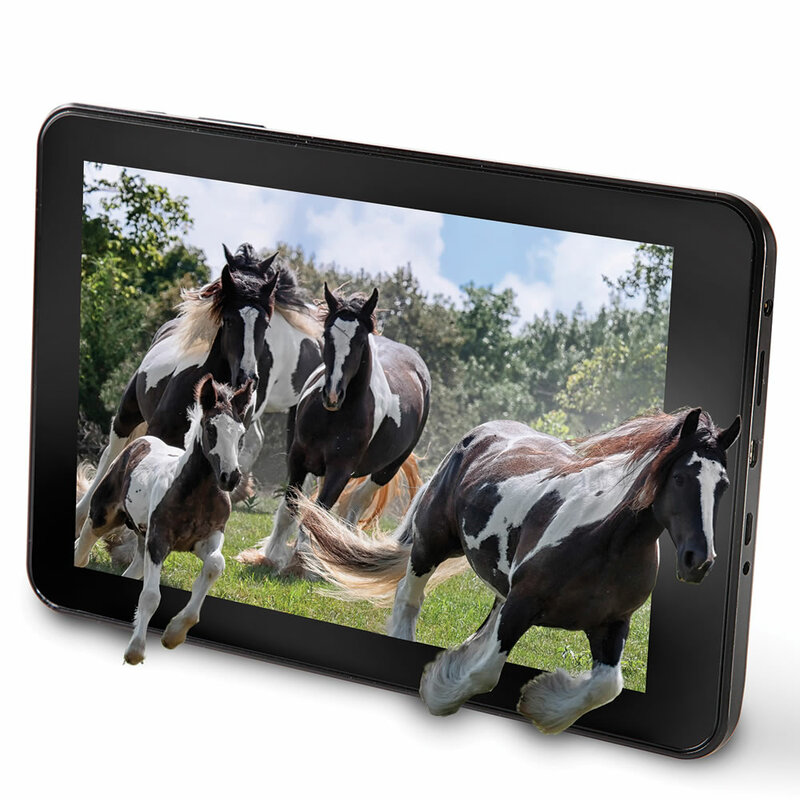 For more information about the No Glasses 3D tablet, head here. 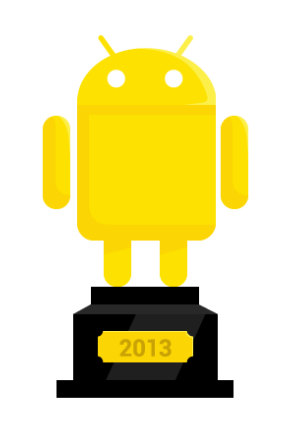 Google is giving you the opportunity to vote for the best games and apps of the year. Player’s Choice Awards contest, is decided by the people who actually play the games and not an a panel of insiders There are 6 categories in all, three for games and three for apps, each category containing eight nominees. Best of all, if you don’t like Google’s choices, you are can suggest your own favourite. We didn’t get to see the Oppo Find 5 in the UK, however it was one we followed in the hope we would. However, rumours suggest that we will the phone’s followup. According to recent whispers, the Oppo Find 7 could launch with a mighty Snapdragon 805 CPU, Qualcomm’s latest and greatest system-on-a-chip for mobile devices. Perhaps one of the most exiting features of the Find 7 is the claimed 5.7-inch 2,560×1,440 touchscreen that will make it one of the first 2K devices on the market. Other rumoured specifications include 3GB of RAM, a 13MP camera, and 4G LTE support. Oppo recently posted an image to their Web page “4G LTE, I’m ready!” a pretty clear indication that we should expect this. If the Find 7 lives up to these rumours, we could be dealing with a serious phone from the daring mobile manufacturer looking to make a name for itself and standing out of all the Android options out there. If you have your hands on a Nexus 5 one of the things you may not like so much about the phone is the battery life. While the Nexus 5 battery life isn’t terrible by any means, it’s certainly not one of it’s better features and many of us are just about able to get to the end of the day before the phone is screaming for power. There are lots of battery optimisation apps on the market and some work better than others. I’m personally using Snapdragon BatteryGuru which seems to work well and gives me up to an extra few hours from each charge. One good thing about BatteryGuru is that it spends a couple of days gethering data about your own actual usage and optimises the battery saving features based upon how you use the phone rather than a stock set of profiles. If you have a Nexus 5 there is another option that you could try in order to get a little bit more from each battery charge: Switch from Dalvik runtime environment to Android RunTime or ART. Whilst you may not have heard of Dalvik, it’s the underlying runtime environment for every Android phone and Google have spent a lot of time optimising it of the years. However, the new kid on the block is Android RunTime. 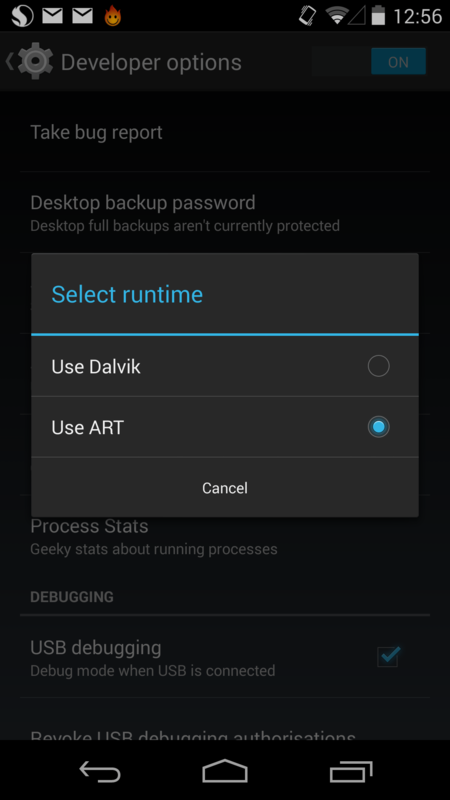 ART comes as part of Android 4.4 KitKat and while you may not notice much of a performance difference, Android RunTime operates in a totally different way from Dalvik as it’s an Ahead-Of-Time compiler. This directly affects how applications run in the background and should have an impact on battery life. In practice switching to ART does indeed have an impact on battery life and definitely the Nexus 5 battery is life better with ART. Switching to Android RunTime from Dalvik is really simple, takes only a few minutes and doesn’t require unlocked boot loaders or a rooted device or anything scary like that. First of all we need to enable the developer options on the Nexus 5. Head in to Settings > About Phone and then at the bottom of the page tap repeatedly on the Build Number row. You’ll see a message telling you that developer mode is enabled and this provides us with the developer options under the Settings menu. Once in developer options go to Select Runtime and switch to ‘Use ART’. After a reboot and a short update the phone will restart. It’s that simple and you can always switch back if you need to. We’ve discovered that the batter life is certainly better with Android RunTime and while all the apps we’ve tried work just the same under ART there’s no performance improvements to be seen either. Give it a try and let us know how you get on! 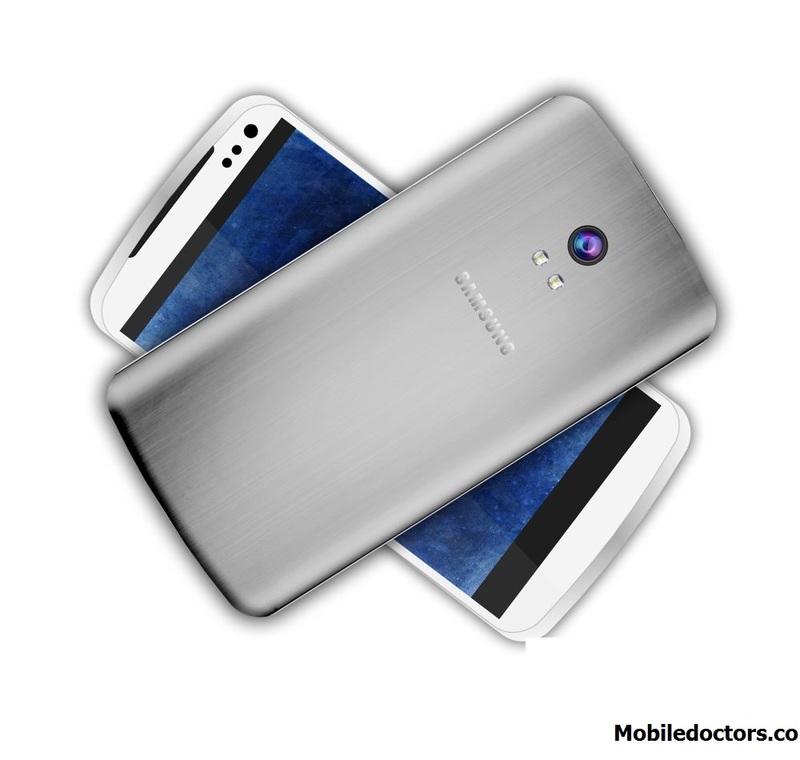 Seems like only yesterday that the Samsung Galaxy S4 hit the scene but already we are looking towards the S5 with eager anticipation. If the benchmarks that have apparently surfaced claiming to be a Samsung SM-G900S turns out to be the Samsung Galaxy S5 then we really are in for a treat! The benchmarks appeared on the GFXBench website and show that the device claiming to be the Samsung SM-G900S has an incredible 2560×1440 display (presumably circa 5.5″), a quad-core Snapdragon 800 CPU running at 2.5GHz, Adreno 330 GPU and Android 4.4 KitKat. So speculation has already started and the guess is that the mystery device could well be the anticipated Galaxy S5 but other thoughts are that it could be the Samsung Galaxy Round. We are already aware of Samsung’s plans for 560ppi (45 um) displays on smartphones coming next year and 4K displays in 2015 and foldable displays towards 2016 if the technology barriers can be overcome. Quite some time ago we got our hands on the Bose QuietComfort QC15 Acoustic Noise Cancelling headphones and I was hugely impressed with their performance in noise cancelling and they sounded amazing. However, I’m not a huge fan of over the ear style headphones and prefer a more discrete in-ear style. 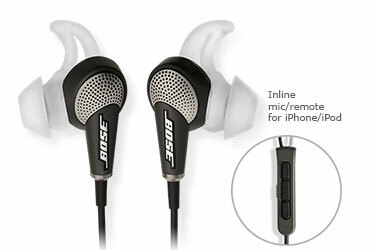 So when Bose announced the new in-ear QC20’s I was keen to give them a try. The Bose QuietComfort QC20 offers the same noise cancelling technology as the QC3 and QC10 but as the headphones themselves are smaller there isn’t room for the batteries and circuitry that fit in side the headphones of the other models. Instead the QC20 has an external control unit and battery pack that holds all the clever stuff. A small compromise and the battery has the convenience of being charges via a micro USB socket. There are two slightly different QC20 models, the QC20 has an in-line microphone and two-button control which is designed for Android, BlackBerry and Windows Phone devices, while the QC20i is for Apple devices and has the in-line microphone and a four-button remote. Both have play/pause controls but the Apple variant also has volume control buttons. More Samsung Devices to get KitKat? Many manufacturers have already been making announcements about the availability of Android 4.4 KitKat for their current range of devices with updates expected from HTC, LG and Samsung over the coming weeks for flagship devices. However, Android 4.4 KitKat was designed to be much more optimised than the previous versions of the OS and is capable of running on devices with a lower specification with slower CPU’s and as little as 512MB RAM being possible. But there have yet to be any announcements from any of the manufacturers regarding the possibility of offering an Android 4.4 update to older models. But that could be set to change if the information that SamMobile have managed to get their hands on. 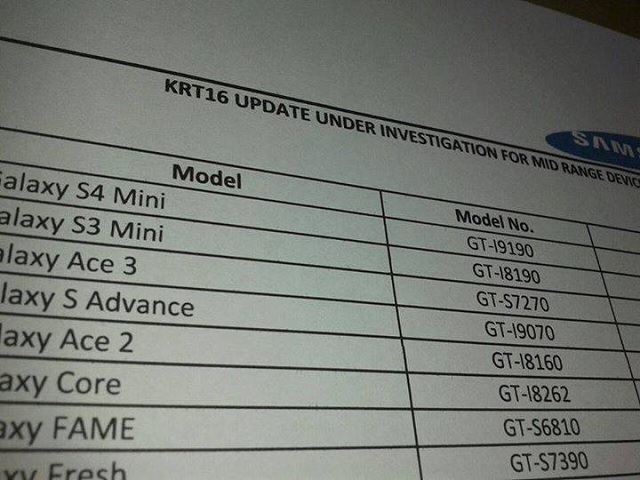 They have apparently managed to secure some internal documentation from Samsung that suggest that many Samsung smartphones are ‘under investigation’ for upgrade to 4.4 KitKat. These devices include the Samsung Galaxy S4 Mini, S3 Mini, Ace 3, Galaxy S, Galaxy Core, Galaxy Fame and Galaxy Fresh. At this stage there’s obviously no guarantee that any of these devices will see such an OS update but it IS good to see that it is at least being looked in to and there is a further hope that if Samsung do release updates for older models then the likes of HTC, LG and others will be almost forced to follow suit. 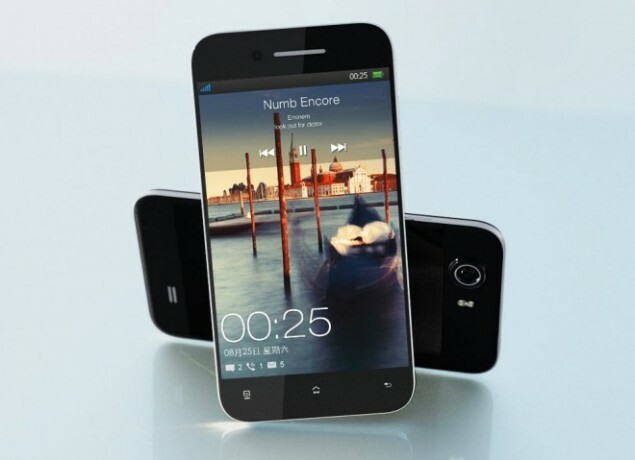 We have recently covered the upcoming Yotaphone. Now we have more information for the Russian made device and things are looking good. The handset features two screens, a 4.3-inch 1280 x 720 LCD in the front and 4.3-inch 360 x 640 electronic paper display (EPD) on the rear. The Amazon Kindle-like EPD stays lit, displaying updated information such as the time, date, maps, social media and messages. It’s even possible to set certain items (like maps or contact information) to remain on the EPD even after the battery has been exhausted. Vlad Martynov, CEO of Yota Devices sees the dual-screened phone as “a revolution in telephone architecture” and states that “Before Yotaphone, this space was useless.” While a constantly lit EPD would seem like a quick death to standby and operating times, the screens ultra efficiency can actually conserve battery life. Martynov explains: “The typical user picks up and activates their smartphone more than 150 times a day” Why? Because users worry that messages or information they need or want are hidden behind their phone’s black screen.” Since the Yotaphone gives users the ability to quickly check phone statuses without powering up the more energy intensive LCD throughout the day, users can actually experience increased operating times. Yotaphone runs Android 4.2 Jellybean and features a dual-core 1.7GHz Snapdragon S4 processor, 2GB of RAM, 32GB internal storage, a 1-megapixel front facing camera, 13-megapixel rear camera and a 1800mAh battery. 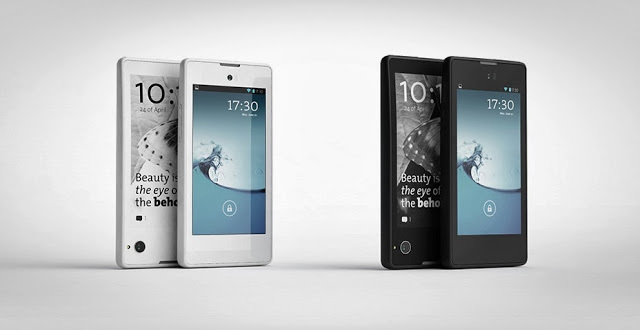 Yotaphone is currently selling in Russia, Austria, France, Spain and Germany. UK launch as yet to be confirmed however, we are on it and hope to update you soon.